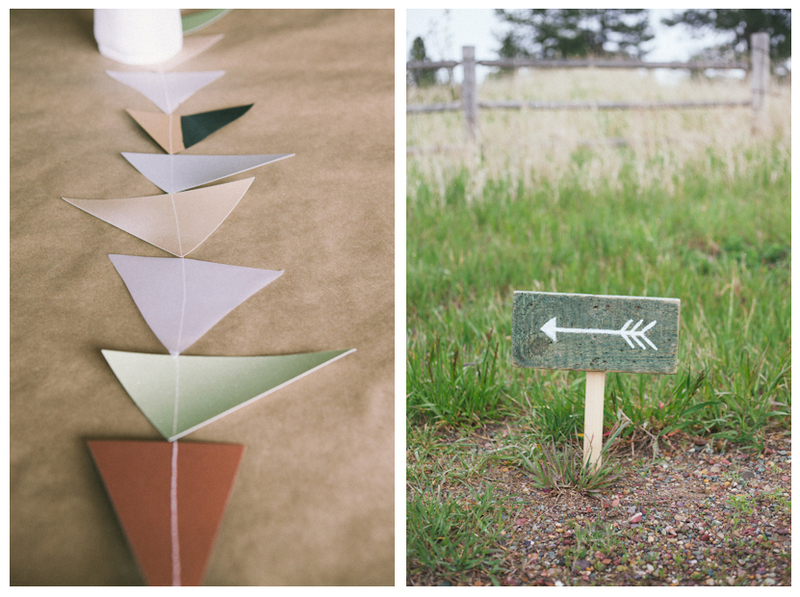 kelli + reed decided early on that they wanted a bow + arrow/fort themed nursery, so carrie [of cue the confetti], jennie, + i ran with that theme for the baby shower. it was adorable!!! 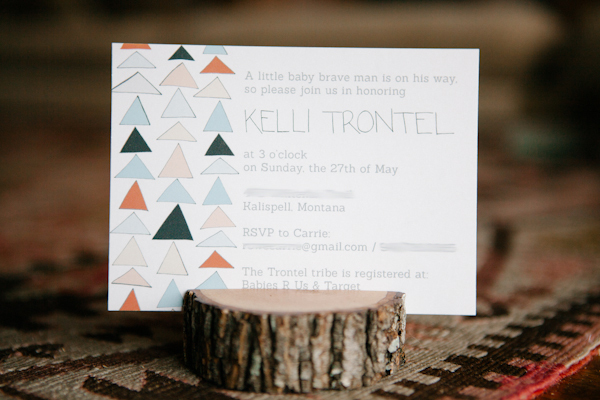 i wanted the invites to be a simple sneak peek of the shower theme, so i drew a mixture of triangles that displayed the color scheme... + used key words like "little brave man" + "trontel tribe". + i love that all those elements were carried throughout the entire shower!! to guide guests on the right trail, i painted arrows onto pieces of reclaimed wood then hammered them to little stakes... i want to hang one in my house!! 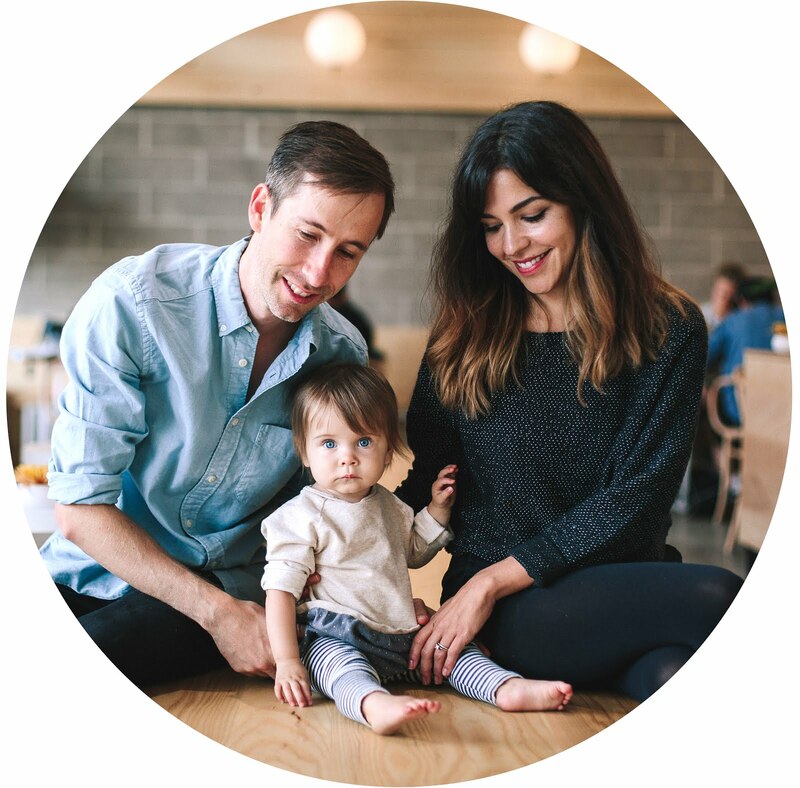 check out the full feature over at on to baby!! yay!! kelli is such an amazing, inspiring, encouraging person + i am so blessed to know her + celebrate her + her little baby brave man on the way.